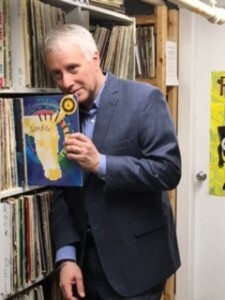 David Brancaccio visited WMPG for a look at Community Radio at USM! 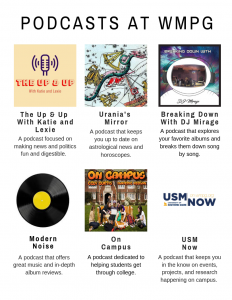 WMPG’s Chris Darling interviewed award-winning journalist David Brancaccio host of American Public Media’s Marketplace Morning Reports who was at USM on Friday May 12th. He was here as part of the USM Corporate Partners series Examining Fake News. He focused on what reporting the news means in this remarkable time. David Brancaccio’s reporting focuses on the future of the economy, financial and labor markets, technology, the environment and social enterprises. David grew up in central Maine and has a bachelor’s degree from Wesleyan University and a master’s degree in journalism from Stanford University. He attended schools in Italy, Madagascar, and Ghana. USM is proud to announce that Mr. Brancaccio will be receiving an honorary Doctorate Degree the following day at USM’s 2017 Commencement Ceremony.